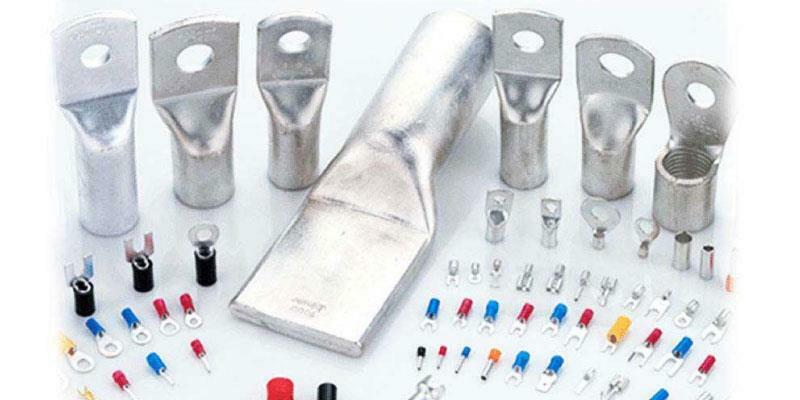 Mahendra Electricals Mahendra Electricals is an eminent enterprise dealing in a wide range of industrial electrical products like Copper and Aluminium Cable Terminals, Brass Cable Glands, Nylon Cable Glands, Cable Terminal Ends and a wide range of industrial products. The company was established in the year 1990 by Mr. Mahendra Gandhi, and since then it has associated with the reputed manufacturers in India and actively engaged itself in many parts of the country. Based at Vadodara, the company has achieved prominence among the top Industrial Electrical Product Suppliers in India. Buy Comet CBW014 Double Compression Gland Outer Dia 78.5 - 84 mm in India. Shop for Comet Cable Glands and Cable terminals in Vadodara Gujarat at Mahendra Electricals. Comet Cable Glands are available in Baroda, Ahmedabad, Surat, Mumbai, Nasik, Pune, Bangalore, Secunderabad, Hyderabad and other states of India. Buy LOCKWELL Cable ties in India. Nylon Cable Ties in white, black and other colors available in Vadodara, Ahmedabad, Surat, Vapi and other parts of India. Quality is extremely important in an electrical system. It is maintained by undertaking stage wise inspection, which is always mandatory. Full fledge in-house Lab inspects raw materials & out going finished products as per defined rejection/acceptance method. Relevant Indian & International standards are maintained by concurrent inspection & close monitoring of quality standards. This will enable the customers to select the terminals as per the specification required. COMET a name synonymous with Cable Glands was the brain child of Shri V.S. Dedhia. Founded in the early 1960s, it has been serving the Indian electrical industry with zest and dedication for over 5 decades now. As a part of the expansion program Cable Terminals and accessories were introduced in the year 2000. The new product range was warmly embraced by our valuable clients. Our endeavour is to exceed our customers expectations in both product and service quality through continuous innovation and uncompromised quality. Buy Hoods Cable Tie in size 250 x 4.8 White color in Gujarat - Vadodara, Ahmedabad, Surat, અંકલેશ્વર, Bharuch and across India. Lockwell Cable Ties manufacturer of Nylon 66 Cable tie in different sizes. Cable tie 100 x 2.5mm available in Lockwell. Made in India Cable Ties.